Today, many of us will gather together with family, friends and others, savoring a lavish feast of food and drink. We might go to local football games, watch it on TV or watch something else, like the Macy's Day Parade. 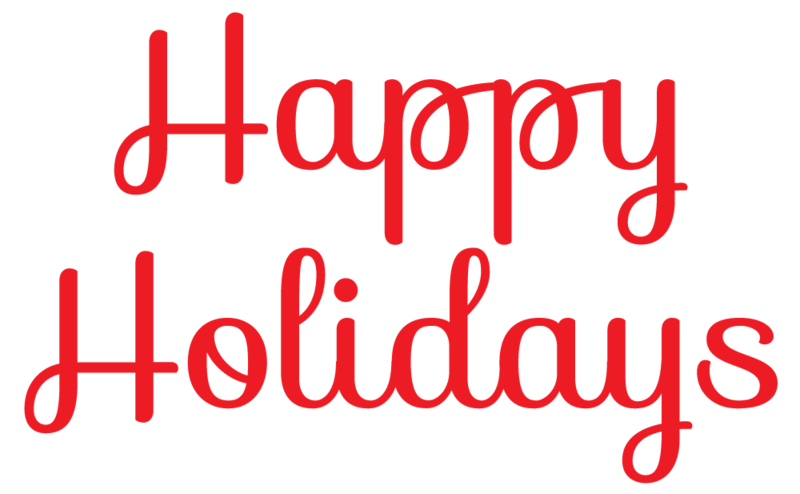 We will talk and laugh, toast and cheer, savoring all the goodness of the day, reveling in the joy of the holiday. However, amidst all this merriment, we should not forget the meaning of the day. Today is about more than turkey and wine, stuffing and football, pecan pie and naps. I am thankful for many other things in my life, including family, friends, health, and much more. I am thankful for all my blog readers, as well as the fans of my Tipsy Sensei series. It would take too long to list every single thing I am thankful for here, but I will take the time to reflect upon all of them today. I will try not to dwell on the negative elements in my life. It will hopefully be a day of appreciation and reflection, of hope and a brighter future, though it wont be easy this year. In August, Camille "Frenchie" Babine, my father-in-law, passed away. and he would have turned 96 years old in October. There will be an empty seat at our Thanksgiving table this year, and that won't be easy for the family. We will try to cherish all our fond memories of Frenchie, to reflect back on how he enriched our lives, rather than dwelling on the loss. We will raise a toast to Frenchie, a man who lived a long and full life. We all miss him. I am back again with a special Wednesday edition of Sips & Nibbles (as tomorrow is Thanksgiving), my regular column where I highlight some interesting wine and food items that are upcoming. 1) Santa is coming! On Sunday, December 7, from 4pm-7pm, The Beehive will host Santa Supper with live holiday music, a special menu, photo opportunities and mingling and jingling with the big man himself... Santa Claus. During The Beehive’s Santa Supper, kids have a prix fixe menu which includes seasonal specials such as Reindeer Chicken Nuggets, veggies and Santa approved warm cookies and milk. The children’s prix fixe menu is $15 for kids ages 10 and younger. While the kids are running around with Santa, parents can sneak in one of The Beehive’s handcrafted cocktails such as the Storm Warning ($11.50) or the Spiced Pear Collins ($12), while indulging in an Italian-inspired Sunday Supper presented by Executive Chef Marc Orfaly including spaghetti & meatballs, chicken piccata, eggplant parmesan and more. Regular menu will also be available. Throughout the evening kids of all ages will be surrounded by the sounds of the season as guitarist Bobby Keyes takes the stage to perform selections from his all new Christmas album. Bobby B. Keyes defines our American musical heritage by blending rhythm & blues, country, jazz, rock, pop and swing. His guitar playing is inspired and passionate, his musical taste is exquisite, and his sound is clean and refreshing. Reservations are highly recommended. No cover charge. Please call 617-423-0069 for more information or to make reservations. 2) On December 8, at 6pm, Legal Oysteria will host their first wine dinner with Legal Sea Foods’ Vice President of Beverage Operations and Master of Wine, Sandy Block. At this exclusive four-course pairing dinner celebrating everything Italy, Sandy Block will guide guests through his selection of the exquisite tastes and flavors of “Undiscovered Gems of Italy.” I think this is going to a tasty and educational dinner, with plenty of intriguing Italian wines. Reservation required by calling (617) 530-9392. When you go to the local butcher shop, and buy a steak, you'll most likely get exactly what you want. If you want beef, you''ll get it. The store wouldn't confuse the issue and mislabel pork or venison as beef. They wouldn't do it with poultry either, so if you want chicken, you'll get it and not duck or quail instead. However, when it comes to seafood, the issue is far from clear cut. There is the possibility you won't get the type of seafood you want to buy because the seafood has been mislabeled. There is some disagreement over the actual frequency of seafood mislabeling. Sometimes a cheaper fish is mislabeled as a more expensive fish, cheating the customer. Mislabeling though can be more than an economic mistake. In fact, it can be deadly if someone happens to be allergic to the mislabeled seafood. Mislabeling can lead to other potential health problems as well, and thus efforts to reduce mislabeling are very important. In recent years, a number of organizations have conducted their own mislabeling investigations, and their results have varied, though the amount of mislabeling has usually been seen as high. In response, the Food & Drug Administration (FDA) conducted their own investigation in 2012 & 2013, and recently issued a report on their findings. In their investigation, the FDA conducted three sampling efforts, a total of almost 700 DNA tests, from 14 different states, including Massachusetts. They primarily looked at fish which are thought to be at the highest risk of mislabeling, including basa, catfish, cod, grouper, haddock, snapper and swai. The FDA investigation reached the conclusion that mislabeling occurred only in 15% of the cases, a far lower percentage than other studies concluded. In addition, the FDA found nearly all of the mislabeling occurred with snapper and grouper, which only account for less than 2% of seafood sales, and not all the other allegedly high-risk seafood. Their tests seem to indicate that mislabeling is far less an issue than others have reported. So who is correct? And how do we reduce mislabeling? Currently, there are already laws against mislabeling, such as Section 403(a)(1) of the Federal Food Drug and Cosmetic (FD&C) Act (21 U.S.C. 343(a)(1)). The FDA has issued the Seafood List - FDA's Guide to Acceptable Market Names for Seafood Sold in Interstate Commerce, to provide the seafood industry information to prevent mislabeling. So is there really a need for more laws and regulations in this area, or should there simply be greater efforts involved in enforcing the existing laws and regulations? If seafood mislabeling is a smaller issue, as the FDA investigation concluded, then greater enforcement would probably be the better way to handle the situation. Something needs to be done to reduce seafood labeling. What do you think is the best solution? Rant: There's No California Chardonnay On The Menu? What do you mean there's no California Chardonnay on the wine list? Must a restaurant wine list cater to all tastes, or can it specialize, ignoring some very popular choices? Is such specialization a good thing, or does it spite customers who want something different? How much choice should there be on a restaurant wine list? Consider Taberna de Haro, an excellent Spanish restaurant in Brookline and one of my favorite restaurants in the area. I think they have a superb wine list, with over 325 choices, and it is unique because all of their wines are from Spain. You won't find a California Chardonnay or an Oregon Pinot Noir on their list. However, you will find Albarino, Tempranillo, Mencia, and much more. You'll find wines from all across Spain, including the Canary Islands and Mallorca. You'll find Sparkling wine, Rosé, Sherry, Dessert wines and even Spanish cider. You'll find incredible diversity on their wine list, even though it is limited to Spanish wines. I respect Chef//Owner Deborah Hansen for having the bravery to limit her wine list to only Spanish wines. Obviously her decision might have turned away some customers, people unwilling to expand their horizons and drink something different from their usual choices. It would have been easy for her to stock a selection of California Chardonnay and Oregon Pinot, but she took a more difficult stance, wanting her Spanish cuisine to be paired only with Spanish wines. In doing so, she has compiled an amazing Spanish wine list, one which must be one of the best in the country. Most other local restaurants are unwilling to limit their wine list in this manner, trying to cater to all customers. One other brave restaurant is Erbaluce, which serves Italian cuisine and has a nearly total wine list of Italian wines, with a few French Champagnes thrown into the mix. However, restaurants like Taberna de Haro and Erbaluce are the rarity. I don't believe that should be the case, and I would like to see far more restaurants taking a stand, and offering more limited wine lists, lists which are appropriate for their cuisine. And more customers should support these restaurants. If you dine at an Italian restaurant you don't expect to be able to order Fajitas or Kung Pao Chicken so why should you expect to find non-Italian wines? You should immerse yourself in their cuisine, which includes the wines of that region. To many Europeans, wine is food, and is an integral part of their meals. Sometimes it is much better to have less choice than more. If you want authenticity in your cuisine, that should extend to the wine as well. Sure, non-Spanish wines can pair with Spanish food, and non-Italian wines can pair with Italian cuisine, but that doesn't mean a restaurant needs to provide those options. We should respect the decision of any restaurant which choose to carry only regional wines appropriate to their cuisine. We should not complain about it, or refuse to dine there because we can't find something like a California Chardonnay. We should be open to trying new wines, just as we would a new dish of food. We shouldn't expect every restaurant to cater to all our wine whims. Embrace restaurants which take a stand with their wine lists. Addendum (11/24): Erbaluce only has Italian wines on their list now. 1) Horse-drawn coaches carrying travelers from Hartford to Albany in the mid-1700s often paused at an inn on the town green here for a whiskey and a good nights sleep. Today, The Old Inn on the Green remains much as it was then, with its wide pine floorboards, multiple fireplaces, and candle lit dining rooms. Under the auspices of innkeepers Peter Platt and Meredith Kennard, the inns nods to modern life include a swimming pool, Frette linens, air conditioning, in-room Jacuzzis, Wi-Fi and satellite TV. The Old Inn on the Greens inventive American cuisine has won a number of awards, and Yankee Magazine named The Old Inn on the Green the #1 historic inn in New England. 2) On Saturday, December 13, Santa Claus will be paying Harvard Square a special visit at Beat Brasserie aka Beat Hôtel for its second annual family-friendly Santa brunch from 10am-3pm. Guests of the Santa Brunch can count on food and drink from Chef Ignacio Lopez, live holiday music from Bobby Keyes, photo opportunities and mingling and jingling with the big man himself...Santa Claus! The Beat’s Executive Chef Ignacio Lopez will serve a selection of brunch fare such as quiche made with Tuscan kale, sundried tomato & goat cheese served with a house salad ($14.50), wild flower honey & lemon pancakes with wild blueberry compote ($14) and eggs shakshuka, poached eggs, north african tomato sauce, peppers and polenta ($14.50) while children can order scrumptious selections off the “Flower Children” menu including kiddie scrambled eggs & toast ($7.50), grilled cheese ($7.50) and pancakes ($7.50). While the little ones are running around with Santa, parents can have a hand-crafted cocktails such as the Electric Sidecar, Clear Creek apple brandy, Fruit Lab orange organic liqueur and sour mix ($12) or the Purple Door, Tito’s vodka, blueberry puree, and real maple syrup ($12). Wine enthusiasts can warm up with one of Beat’s 32 American artisanal wines on tap. Guitarist Bobby Keyes will get everyone in the holiday spirit with a live performance featuring holiday tunes from his new Christmas album. 3) Known to be superior in taste, large format wine bottles are classified as anything more than 1.5 liters (the equivalent of two bottles of wine), and over 150 bottles are now available in 1.5, 3, 5, 6 and even 9 (equivalent to 12 bottles of 750ml wine) liter bottles at The Wine ConneXtion, located in North Andover. This year, The Wine ConneXtion searched far and wide to acquire the largest selection of large format wines in New England. Nowhere else can you find such a vast assortment of large format wine, many of which were special ordered directly from the wineries and include older vintage wines that do not exist in the 750ml format today. Offering everything from 1.5, 3, 5, 6 and even 9 liter bottles, The Wine ConneXtion’s collection of large format wines is the Holy Grail for any vino lover. More than just a bold statement, large format bottles add a unique touch to dinner parties and make an impressive gift for both avid wine collectors and those hard-to-buy-for friends! Quantities are extremely limited, so stop by The Wine ConneXtion while supplies last. Visit www.wineconnextion.com for an updated list of available bottles. 4) On December 8, at 6:30pm, Legal Harborside will team up with Lacey Burke, Brand Ambassador of Ruinart, for a four-plus-course champagne dinner. Producing champagne since 1792, Ruinart is the oldest established champagne house in the world. Founded by Nicolas Ruinart in the renowned region in the city of Reims, the house is today owned by the parent company LVMH Moët Hennessy Louis Vuitton SA. With the Chardonnay blend at the very soul of Ruinart, its fresh aromas, vivacity and purity, are is evident in all cuvée varietals. The delicate grape will only display the full breadth of its aromatic richness after a slow maturation in the coolness of the Ruinart cellars. The maturation process is a true testament of the Cellar Master's skill, required to tame and highlight this sometimes fickle grape. Brightness, intensity and elegance are only a few combinations of the unique traits that reside in the celebrated “Ruinart Taste." 5) The 3rd Annual Christmas in the City Kick-Off & Celebrity Holiday Tree Auction event will be Wednesday, December 3, from 6pm-8pm, at the Seaport Hotel. The evening will feature an auction of Christmas trees lit and fully decorated by the Black and Gold’s left wing, #17 - Milan Lucic as well as a “Boston Strong” tree in memory of Mayor Thomas Menino – who was a huge supporter of Christmas in the City for over 20 years. 100% of money raised from this event will go to Christmas in the City, including ticket sales. The Seaport Hotel will be providing tasty nibbles and a cash bar for guests to enjoy during the event; the hotel will again serve as a toy drop-off location for Christmas in the City, beginning November 25th. You can literally valet your toys, by pulling up to the valet and either handing them off or running them in to the lobby yourself, to make donating quick and easy. Celebrity guests include Santa Claus and Jake & Sparky Kennedy (founders of Christmas in the City) in addition to the many supporters of Christmas in the City. Christmas in the City, a 100% volunteer organization, will hold its 26th Annual Holiday Party this year and is expecting to serve thousands more children this year – so they need more support than ever to meet the need. 5,000 children living in shelters, hotels or transitional housing will attend the celebration with their Mom or guardian. The following day, Christmas in the City will give out toys and clothing, serving 12,000 more children whose families have fallen on hard times and otherwise might find nothing under the tree. Admission price is a donation of $20. Guests are also asked to please bring ONE toy to donate. 6) Are you ready to go whole hog? Join the Grafton Group on December 9, from 6pm-9pm, for the first-ever “Heads to Tails Privateer Pig Dinner” at Russell House Tavern. Chef Tom Borgia is prepared to treat your taste buds to a six-course feast featuring local heritage hog from Brambly Farms in Norfolk. Each course has been paired with a handcrafted Privateer Rum (also made in MA) cocktail – shaken or stirred to perfection by Bar Manager Ashish Mitra and guaranteed to keep you refreshed all evening long. "There is Sherry, and there are all other wines." Back in June, I Ranted that people should Stop Neglecting Sherry, asking that they take a chance and explore the wonders and diversity of Sherry. I've written over thirty articles on Sherry, some of those posts based on my visit to the Sherry region of Spain. Back in 2010, I penned a five-part series on the History of Sherry, noting that Sherry has weathered many ups and down through the centuries, and was currently at one of its low point. However, I felt that after rebounding so many times during the centuries, that it was only a matter of time before it saw a resurgence once again. Currently, it seems Sherry is climbing in popularity once again, and the outlook seems bright. Sherry needs passionate advocates, to help spread the word, and Talia Baiocchi is doing her part to popularize Sherry. In her new book, Sherry: A Modern Guide to the Wine World's Best-Kept Secret, with Cocktails and Recipes (Ten Speed Press, October, 2014, $24.99), she helps to educate people about Sherry, presenting this information in an easily understood manner for readers of all knowledge levels. If you are curious about Sherry, this is an excellent introduction to this worthy wine, and even presents cocktail and food recipes. Talia Baiocchi is the editor-in-chief of Punch, an online magazine focused on wine, spirits, and cocktails. She has also written for other outlets, including Wine Spectator, San Francisco Chronicle, Decanter, Bon Appétit, and Wine & Spirits. Available as a hardcover or e-book, this Sherry guide presents seven chapters, with an informative appendix on "Where To Find Sherry." The first two chapters, How Sherry Is Made and Wines of the Sherry Spectrum, present all of the basics of Sherry, including methods of production, terroir, solera system, bodega architecture, flor, as well as the various types of Sherry, from Fino to Palo Cortado, from VORS to En Rama. Though this can be complex, Talia does an excellent job of explaining matters so most anyone will understand. These chapters will also show readers the incredible diversity of Sherry, and how it isn't simply some sweet stuff their grandmother once drank. I also enjoyed a fascinating sidebar on Flanenco & Sherry. 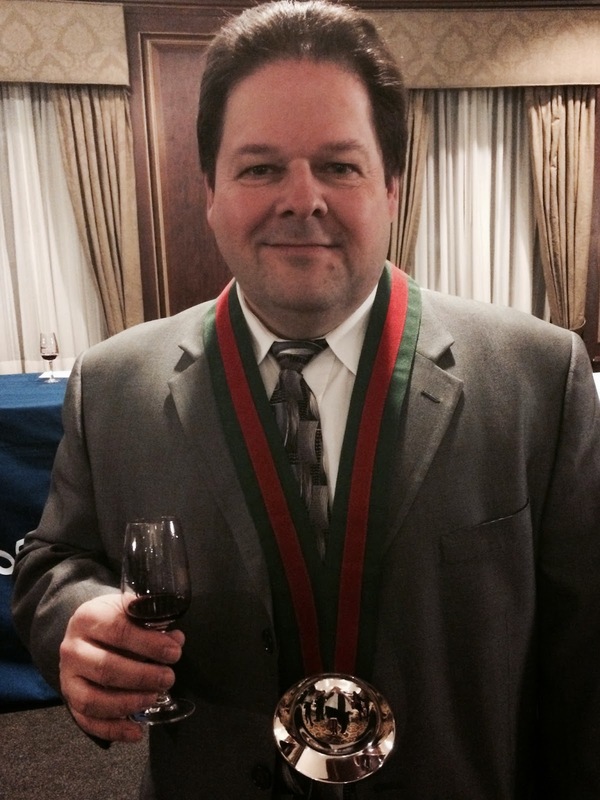 "Sherry is one of the greatest of all misunderstood wines." Chapters 3 & 4 discuss the history of Sherry and its modern renaissance. The history lessons extends back to the Phoenicians, covering a number of highlights across the centuries. You'll learn how Sherry was popular in the U.S. during the 19th century, with cocktails like the Sherry Cobbler and restaurants pairing Amontillado and Turtle Soup. There is also mention how U.S. wineries started making their own Sherry-like wines in 1948, and that by the 1950s, it was said California was making 8 times as much Sherry as Spain. The recent resurgence of Sherry is due to many factors, from a change of tastes to more savory items to its greater use in cocktails. There are hopes that Sherry popularity will continue to grow. Chapter Five explores the Towns &; Bodegas of the Sherry region. There are listings for the Bodegas of Jerez, El Puerto and Sanlucar, with short descriptions and listings of their notable Sherries. If a consumer sees Sherry on their local wine shop shelves, they can use this chapter to do a little background research, to learn more about those specific Sherries. The next chapter is all about Sherry Cocktails, providing a short history and an explanation on how Sherry affects cocktails. Then, the chapter provides over forty cocktail recipes, from old classics to modern innovations, such as Sherry Cobbler, Adonis, Sherry Flip, Bamboo, Pale Rider, and the Rye Witch, Even if you don't like drinking Sherry on its own, these cocktails might appeal to you, balancing out the flavors of Sherry with other ingredients. And if you like Sherry on its own, these cocktails can introduce new flavors and combination to you. The final chapter,Sherry At The Table, begins with an origin tale of Tapas, and then presents about ten recipes, dishes that go well with Sherry, including items like Salmorejo and Huevos A La Flamenca. There are even cool sidebars on Spanish Cured Ham and Sherry Vinegar. However, there is little information on pairing Sherry with food, which would have been very helpful, especially considering how food-friendly it is. For example, as I mentioned before, Sherry would be a good choice as a Thanksgiving wine. In a final appendix, Where To Find Sherry, there is a list of restaurants, bars and wine shops where you can purchase Sherry. Initially, there are restaurant recommendations for the Sherry region, but the rest of the lists are for the U.S. A number of Massachusetts spots get a mention, including Taberna de Haro, Belly Wine Bar, Toro, Merrill & Co., The Hawthorne, Central Bottle, and the Wine Bottega. Overall, this book is an excellent and reader-friendly introduction to Sherry. It covers a wide range of topics, though could have provided more advice on pairing Sherry and food. 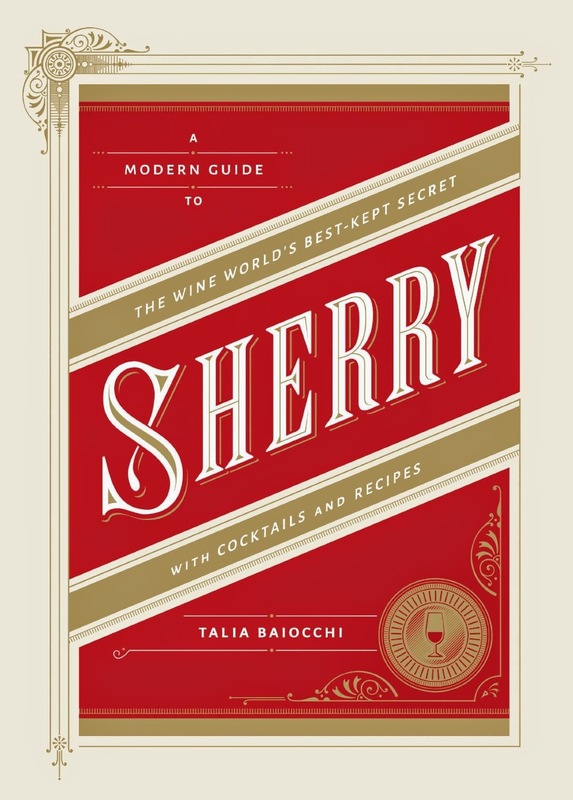 As there are few books currently available on Sherry, this is a needed book, and Talia has written a guide that should be on the shelves of all wine lovers. Scotch Whiskey has a rich history and an excellent reputation, often seen as the benchmark for whiskey all around the world. Japanese whiskey has become major competition to Scotch, but Scotch will always remain a classic, one valued by many whiskey lovers. In the middle of autumn, as the leaves fall and there is a chill in the air, a glass of Scotch can be so welcome, helping to warm your body and soul. The Auchentoshan Distillery was founded back in 1823, at the foot of the Kilpatrick Hills overlooking the River Clyde. It has changed owners multiple times, and in May 2014, Beam Inc. and Suntory Holdings Limited merged to create Beam Suntory Inc, which now owns the distillery. The name "Auchentoshan" is from Gaelic and translates as "the field of the corner." It is one of six malt whisky distilleries in the Scottish Lowlands. It is the only Scottish distillery which uses a third still, creating the highest distillate of any single malt distillery. Usually, Scotch production involves two stills but Auchentoshan adds a third, known as the Intermediate Still. This creates a spirit that is 162 proof, rather than the usual 140 proof. This extra distillation is more costly and time consuming, but creates a more pure, elegant and delicate whiskey. They produce five main single malts and numerous limited edition bottlings. The Auchentoshan American Oak ($39.99) is matured in American bourbon barrels and has a 40% ABV. It is their lowest tier whiskey, but is still very much a quality single malt. With a light gold color, it has a nose of vanilla and coconut, with a hint of baking spices. All of those smells also come through on the taste, along with citrus notes and a touch of sweetness. It is elegant and light, a smooth, easy drinking Scotch. I was impressed with the Auchentoshan Three Wood ($59.99), which has been matured in three different barrels, including American Bourbon, Oloroso Sherry and Pedro Ximenez Sherry, and has a 43% ABV. With a darker hue, you get more sherry notes on the nose, including brown sugar and raisins. The taste is rich and complex, with delicious flavors of caramel, dried fruits, baking spices, and nutty accents. It has some sweetness to it, but plenty of savory flavors too. With a lingering finish, this single malt intrigued and delighted me. Highly recommended. Glen Garioch, which was founded in 1797, is located in the town of Oldmeldrum, near Aberdeen in North East Scotland. They generally produce small batches of their whiskies, and the style is considered to be a hearty and creamy Highland malt, which is also non chill-filtered. They also make a line of vintage single malts, though not every year. 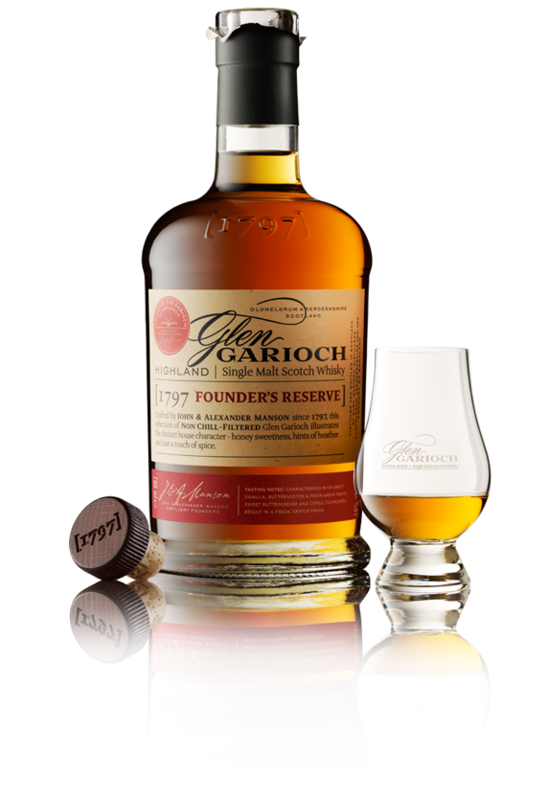 The Glen Garioch Founder's Reserve ($45) was matured in American bourbon and Spanish sherry barrels, and has a 48% ABV. With a light gold color, there are aromas of vanilla and baking spices, and on the palate, there were tasty flavors of vanilla, green apple, and baking spices. It has a creamy texture, a long finish, and plenty of complexity. Another smooth, easy drinking Scotch. The Bowmore Distillery:was founded in 1779, and was the first recorded distillery on the island of Islay. It is located on the shores of Loch Indaal, which leads into the Atlantic Ocean. Islay whiskies are known for being peaty, and Bowmore smokes their malt in a peat-fired kiln, just as was done two-hundred years ago. The Bowmore Small Batch ($39.99) is aged in first and second fill ex-bourbon casks, and has a 40% ABV. After the aging, the whiskey is blended together, each barrel adding its own distinctive aspects to the final blend. With a pleasant smoky aroma, the taste of this whiskey brings to mind the sea, with its briny elements, combined with smoke, lime, vanilla and baking spices. It has a mild smokiness, blending well with everything else. A lengthy finish and plenty of complexity make this a delicious single malt. 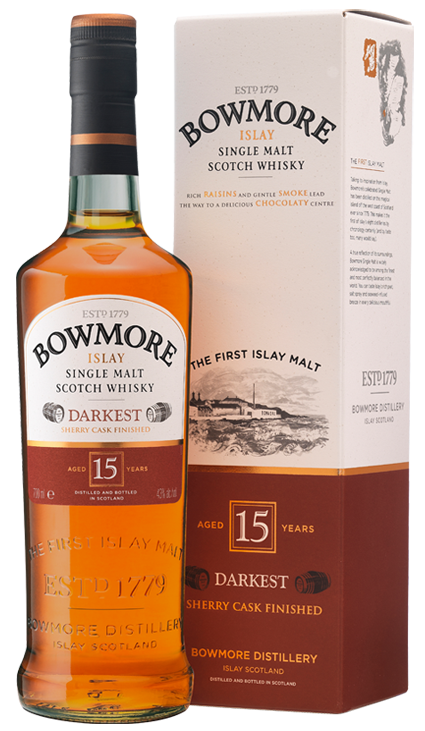 Out of the five Scotches I tasted, my favorite was the Bowmore 15 Year Old Darkest ($74.99), which is aged in bourbon and sherry barrels, and has a 43% ABV. Its final three years of aging are in Oloroso Sherry barrels, and that is why this was the darkest of the five whiskies, with a darker amber color. This whiskey was smooth and complex, a delectable melange of smoke, baking spices, chocolate, dried fruit, vanilla and hints of nuttiness. The smokiness was around mild, but pervaded every taste, gently caressing your palate. The lingering finish seemed to go on and on, satisfying long after each sip. Not only was it my favorite of these five, but is definitely one of my all-time favorite Scotches. Highly recommended. When discussions of seafood sustainability arise, they most often revolve around protection of seafood species as well as their environment. There might be talk of endangered fish populations, such as cod in the Gulf of Maine, or destruction of the sea bed from trawling. However, sustainability discussions have been expanding, and social issues have begun taking on more and more importance, as rightfully so. When I wrote about the 2014 Seafood Expo North America (SENA) this spring, I posted about The Seven Keys of Sustainability, my own list of the most important aspects of seafood sustainability. A vital question raised during the conference was "What is the next step beyond sustainability?" That referred to sustainability as mainly species and environmental issues. And as more and more fisheries became sustainable, that means it no longer provides as significant a competitive edge. So what would fisheries do to increase their competitiveness, as well as how would the definition of sustainability expand? For me, the potential answer was inspired by a seminar with the Aquaculture Stewardship Council (ASC). The sustainability standards set by the ASC address social issues, such as the welfare of workers, a fair wage, safety, and much more. At the time of the Seafood Expo, the abuse of Thai seafood workers had been making headlines, and I predicted that social sustainability would likely be the next big step for the seafood industry. This seems like it is coming true. The SeafoodSource reported about the recent Global Outlook for Aquaculture Leadership (GOAL) conference held in Ho Chi Minh City, Vietnam, in October. This conference is organized by the Global Aquaculture Alliance (GAA), a NGO which promotes responsible aquaculture practices. The SeafoodSource stated that discussions of social issues were prominent at GOAL and that social issues and environmental impacts "are now permanently intertwined." It was also mentioned that there were significant discussions of "human rights and responsible treatment of workers on fishing vessels, on farms and in processing plants." Avoidance of these issues doesn't seem to be an issue. Much of this was spurred on by recent reports castigating the seafood industry for social abuses. This is a very positive sign, that a major international seafood conference would deal with these issues head-on. The prominence of social issues and seafood sustainability will only increase in the next few years, with the seafood industry trying to correct past errors, and ensure such problems do not arise again. I suspect that next year's SENA will also address this issue in greater depth. You will see more articles about these social issues in the seafood media. What is especially significant is how the seafood industry has addressed all of these issues in such a short time span, when other food industries seem to have dragged their feet. Maybe other industries should take lessons from the seafood industry and up their game. When was the last time you enjoyed a glass of Port? Port, which is also known as Vinho do Porto, Porto and Vinho Generoso, is basically a fortified wine produced in the Douro region of Portugal. It is a wine of diversity, depth, and deliciousness, one which many Americans don't properly appreciate. Port consumption in the U.S. is low so it is likely many of you rarely, if ever, savor a glass. To increase its popularity, consumers need to know more about it, to understand its wonders and delights. The myths and misconceptions about Port need to be shattered. Why deprive yourself of such a fascinating wine? I've long been a vocal advocate of Port, and am also a Certified Wine Location Specialist, which concentrates on Port and Champagne. I wrote a four-part series exploring the history and origins of the Port region, and I have reviewed numerous Ports. At the wine store where I work, I have recommended different Ports of various customers. And for my advocacy and promotion of Port,I have received a great honor. I owe a deep debt of gratitude to whomever proposed me to receive this honor. Last Thursday evening, I became a Cavaleiro in the Confraria do Vinho do Porto, essentially making me a Knight in the Brotherhood of Port Wine. This was the first time the Confraria has been in Boston in about ten years, and they inducted 13 new Cavaleiros that night. Around the world, there are currently about 1300 Cavaleiros. Though the genesis of the Confraria extends back to the 1940s, they were only able to unite in November 1982, after overcoming a number of bureaucratic impediments. The Confraria is now headquartered in the Palácio da Bolsa (the Stock Exchange) in the city of Oporto. They have chosen their patron to be the Infante Dom Henrique de Avis, Duke of Viseu, who is better known as Henry the Navigator. He sponsored numerous maritime explorations, including of the coast of Africa, and rediscovered the Madeira Islands and located the Azores. As the Confraria states: "The indomitable character of this great Portuguese Prince, who inspired the most extraordinary maritime voyages, is reflected in the traditional values and characteristic quality of Port Wine." The primary objective of the Confraria is to communicate, promote and reinforce the knowledge, reputation and honor of Port wine. The Confraria is led by a Chancelaria (pictured above), a five person group consisting of the Chanceler (Chancellor and senior representative), the Almoxarife (Administrator), the Coperio-Mor (Head-Cupbearer), the Almotacé (Treasurer) and the Fiel das Usanças (Warden of Usages). All of the members of the Confraria are known as Confrades (Brothers), though women may be members as well, and there are various titles and ranks within the organization. For example, active members of the Port trade receive the rank of Mestre (Master), for owner or directors, or Experto (Expert), for managers. My honorary title was presented during an Enthronement Ceremony at the Omni Parker House, Usually, the ceremony takes place in Portugal, though sometimes the Confraria travels to other parts of the world. Prior to their trip to Boston, they held ceremonies in New York and Washington, D.C. The members of the Confraria were garbed in ceremonial dress, including red capes, black hats with wide brims, and a wide, silk ribbon atop the hat which winds around their neck. The Chancelaria members wear white ribbons while the other members wear black ribbons. After we were led into the room, we sat down, waiting for our name to be called to receive our honor. The Fiel das Usanças read out each name, mentioning their primary role, such as writer, sommelier or importer. My name was called out first, and I stepped forward atop the stage. The Chanceler placed a green and red ribbon around my neck. From the ribbon hangs a tambuladeira, a traditional Port wine tasting cup from the 17th century. It is a similar type of tasting cup as you see some sommeliers wear at high-end restaurants. After receiving the ribbon and tambuladeira, I signed the Book of Honour. This is the Book of Honour, with signatures of most of the new Cavaleiros. After signing the book, I was handed my diploma, encased in a cardboard tube of sorts, which was signed by the Chanceler and Almoxarife, When I later opened the tube, I also found that it contained a neck tie, with the Confraria symbols on it, and a stick pin, also with the Confraria symbol. After everyone else was called to the stage, and we were back in our seats, we all swore a vow, while holding a glass of vintage Port (pictured above). Our vow was “I swear to give my support to the Confraria and to continue fighting for the honor of Port Wine." In addition, soon after the vow, we also made a toast, which is always done at the end of all Confraria ceremonies. Here I am with the Chanceler, George Sandemann. We had an interesting talk about Port, Portuguese table wines, and even whiskey. After the ceremony, we had dinner, drinking a variety of Portuguese table wines and Ports, including more of the Niepoort Vintage 2005 Port as well as the superb Ramos Pinto Vintage 1983 Port. 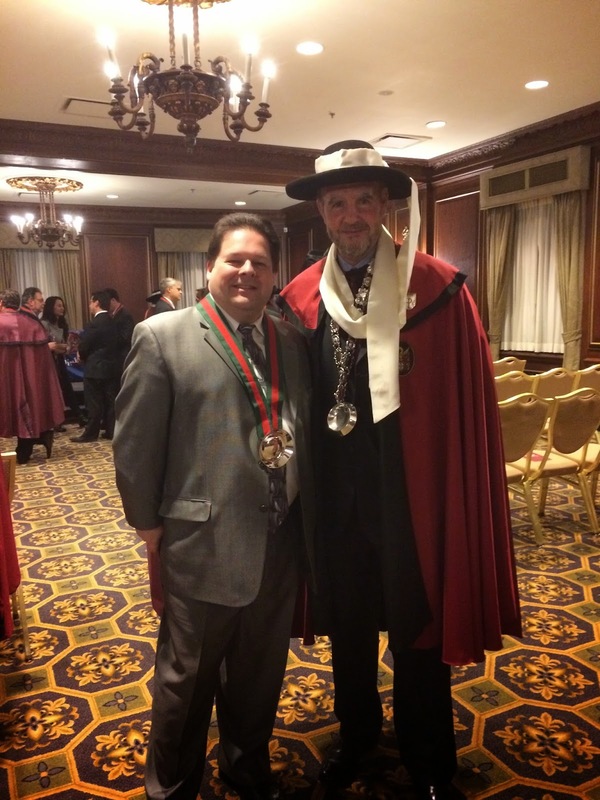 .It was an evening of stimulating conversation and excellent wines, I feel greatly honored to have been inducted as a Cavaleiro, and will do my best to live up its expectations, to protect the honor of Port wine. As the holiday season nears, food and wine blogs are ramping up to spread holiday cheer. You'll read epic tales of sumptuous feasts, accompanied by expensive and rare bottles of wine. You'll read plenty of holiday recipes, describing how to prepare some of the most decadent dishes. You'll read of pricey gifts received, from costly electronics to tropical vacations. Colorful photos will display all of these hedonistic pleasures in their alluring glory. However, I want to see something else, something more meaningful. I don't want to be regaled by selfish, greedy gluttons. Instead, I want to hear about charitable efforts to help those less fortunate. This should be a time of generosity and charity, of giving to others rather than gorging only ourselves. Though many love the holiday season, it can be a very sad time for those with little or nothing. Every community has some people who find it difficult merely to pay for basic essentials. Share your largess with others, helping those who truly need it. This applies to our readers as well, and I encourage all of you to be charitable as well, in whatever way that you can. Be creative in your efforts, even if your own finances are tight. That would be the best gift I could receive from my readers, the knowledge that you have all helped out those less fortunate. Wooden barrels have been used for at least 2000 years, initially for transportation, and eventually for the maturation of wine and spirits However, it is fascinating that the processes of barrel maturation are still not fully understood, and experimentation to better comprehend matters is ongoing. Oak can have a significant effect on wine and spirits, but there are many different factors involved in that maturation, and failure to understand about any aspect could negatively affect the final result. That ignorance could also create an excellent end result, but one you might not be able to replicate again due to your lack of knowledge. At Thirst Boston, I attended a seminar, Woodn’t It Be Nice? What You Haven’t Been Told About Barrel-Aging History and Impact, held by F. Paul Pacult and Troy Clarke. Paul is one of the co-directors of Rum For All, an independent advocacy group for rum. In addition, Paul is an author, the editor of F. Paul Pacult’s Spirit Journal, and a founder of both Beverage Alcohol Resource (BAR) and Ultimate Beverage Challenge (UBC). Troy is the Director of Spirits & Mixology Education for Martignetti Co/United Liquors and President of the U.S. Bartenders' Guild, Boston Chapter. Paul and Troy stated that this is a relatively new seminar, having been conducted only three times in the past year. Previously, there hadn't been much information on the history and nature of barrel maturation but they have performed some new research. As such, they are still fine tuning the seminar, especially as new information is found. It was a fascinating seminar, of relevance to anyone who wants to understand barrel aging, and the tasting component assisted us in understanding the different effects of different types of barrels. The seminar began, looking back about 150,000 years, to New Guinea, where the first evidence of trade has been found. This is important because barrels were eventually invented because of trade. Trade is basically an exchange of goods between different regions or culture, and the first type of trade was barter. By 12,000 BCE, trade was common and from 1500 BCE to 500 AD, the Mediterranean region was a major arena of trade, as ships hugged the shores, traveling from port to port. Most of this trade utilized earthenware/clay vessels; known as amphorae; to transport their goods, though Herodotus noted that the Sumerians were the first to use wooden barrels, made from palm wood, to transport some goods. Others would eventually move toward wooden barrels as they provided a number of advantages over amphorae. These clay vessels were heavy, didn't roll easily and were breakable. In addition, they sometimes could adversely affect the aroma and taste of whatever was stored inside, and those items were also susceptible to pests and rodents. Wooden barrels could be more easily rolled around, were stronger than amphorae, and could actually enhance the flavor of items stored within them. Barrel makers learned much from ship builders, who long had been working with wood. Gaul eventually became a center for barrel making, In Latin, barrels were known as cupals, and barrel makers as cuparii. In time, cuparii became transformed into the English word cooper. Coppers were even one of the first guilds, started in Rome. Though barrel makers experimented with different shapes, they found the cylinder to be the best as the more corners in a wooden barrel, the greater the chance of leakage. Buffalo Trace Distillery has been at the forefront of barrel research, seeking the perfect combination for their spirits. For our first two tastings, we compared bourbons, with a wheat recipe, which were similar in most ways except for the type of barrels used for maturation. The first bourbon was aged in a very tight-grained oak while the second used a more wide grain oak. There were significant differences between the two bourbons, as the second one had more intrusion into the wood, leading to a greater extraction. The first bourbon appealed to me more, with more restrained but still noticeable flavors. Oak became the most common wood for barrels as it is a hard wood, and contains very little sap. Oak trees like to grow in colonies, and the ancient Romans were the first to be concerned about potential oak shortages, though more for ship building than barrel making. In response, the Romans protected certain forests, limiting what could be harvested. Oak also contains five major compounds: cellulose, hemocellulose, lignin, tannin and lipids. Each contributes in some respect to the maturation of alcohols kept within the barrel. There are various types of oak, which in some respects can be broken down into three categories: American White Oak, French Oak and Eastern European Oak. American oak tends to be fast growing, dense with wide grains, possess low tannins, and have more intense flavors as it has four times the amount of lactones as French oak. French oak tends to be medium-fast growing, with tight grains, and is less watertight than American oak. Eastern European oak, Slavonian, Russian or Hungarian, tends to have tight grains, low tannins, and low aromatics. American oak's iconic flavors include vanilla and coconut while French oak include vanilla and almond. Oak trees, harvested for barrels, must be at least 100 years old, and the type of oak will affect the method of harvesting, the idea being to maintain the integrity of the grain. American oak can be sawed but French oak must be hand split, which is more laborious, leading to a higher price for French oak. Of all the parts of an oak, coopers want the heartwood for their staves. The third whiskey we tasted had spent 19 years in the French oak barrel, but it was not a standard size. It was aged in a 135 gallon barrel, and presented tasty notes of earthiness, caramel and coffee but its finish was short. Because of the larger size of the barrel, the length of its aging did not affect the whiskey as it would if the barrel was smaller. As Paul and Troy said, barrel maturation is all about contact, the calculation of the surface area to volume ratio. The smaller the barrel, the more of the liquid which is in contact with the wood, which will mean greater changes in the liquid. Larger barrels mean less liquid is in contact with the wood, so maturation takes longer. Numerous craft distilleries use small barrels for maturation, aging their spirits quicker, though it is not without some controversy as not everyone believes in using small barrels for whiskey. "Raising" a barrel: which means creating a barrel, is not an easy process. It must be watertight, and each cooper, as part of the tradition, is responsible for choosing their own staves. A barrel will contain about 32-34 staves, dependent on the width of the individual staves. Each copper is also responsible for doing their own grouting, to ensure the barrel is water tight. Charring the barrels is another important aspect of the process. There are four basic levels of charring, though there has been some experimentation with higher levels of charring. Charring helps to kill any pests in the wood, and generally coopers are seeking an "alligator skin" in the wood, when the char starts to break. Charring creates a red layer in the wood, where the sugars have caramelized, and it can impact a reddish color to the spirit. Most bourbon barrels have a level 3 or 4 char. When those barrels are sent to Scotland, the char is scrapped out and a new charring is done, though usually only to level 1 or 2. Even the ancient Romans sometimes charred wood, though they didn't have much understanding of the chemistry behind it. Our final tasting was a comparison of three bourbons, using a rye recipe, which were similar except for a single difference, the location of the barrel within their storage warehouse. One bourbon was stored on the first floor, the second on the 5th floor, and the third on the 9th floor. Though that might not seem like a significant difference, it is because of temperature variations. The higher floors tend to be warmer, so there is more penetration of the bourbon into the barrel. And it proved to be the case in this tasting, that the 9th floor bourbon had the woodiest of tastes. This is why Four Roses Distillery now stores their bourbon on a single floor, to avoid such temperature fluctuations. Barrel maturation is a fascinating topic, and I look forward to the results of further experimentation and research. There are around 480 craft distilleries across the country,with at least one in every state, and New England has their share of craft distilleries. At Thirst Boston,they held a New England Craft Showcase, which presented the products of 12 local distilleries and 1 cidery, from five of the six New England states, excluding only New Hampshire. These are not the only distilleries and cideries in New England, and I strongly recommend that everyone check out all of the local producers. Of the 13 producers at the Showcase, I've previously tasted the drinks from several of them, while others were completely new to me. These local distilleries and cideries are still all relatively young, and they are continuing to gain experience all the time. A number of them are trying to use primarily local ingredients, supporting local farmers and purveyors. They are willing to experiment, to take chances, on what and how they produce. In some respects, it is a return to the origins of alcohol production in the U.S., when many farmers had their own private stills and used their excess grains to make alcohol. I'm going to highlight some of the drinks which most impressed me, but always know that personal preferences vary, and it is well worth exploring all of the products of these local distilleries and cideries. I'm a fan of the ciders of Bantam Cider, having written about them multiple times before. They didn't have anything new at the Showcase, but their existing ciders are delicious. I've also written about Turkey Shore Distilleries, which is based in Ipswich, Massachusetts, and they make a line of rums. My favorite of their rums is the Old Ipswich Tavern Style Amber. At the Showcase, they offered a Barrrel-Aged Hemingway Daiquiri, made with their Ipswich Tavern style rum, Luxardo maraschino liqueur, lime, fresh grapefruit, and simple syrup. The cocktail was also aged in charred American oak for 3 weeks. It was delicious, with some added depth of flavor from the barrel aging. Privateer Rum is another rum distillery in Ipswich, and I've written about them as well. Their Silver Reserve White Rum is my favorite of their portfolio. They make a gin now too, though I didn't sample it. Mad River Distillers, located in Vermont, saw its origins in 2009, when there was a discussion on starting a distillery to produce apple brandy. After some analysis, they decided it wasn't a viable enough business, but it would work if they produced a number of different spirits. The company formed in 2011, and they use a dedicated fruit brandy still, a modified lambic still, to produce their range of products. They believe this type of still allows people to taste the grain in their products. They also want to use local ingredients, when possible, which are organic and non-GMO. They use fair trade sugar, and there is excellent, pure water on their property. I tasted three of their products, including a Bourbon, Rye and Maple Rum, all priced at $50. This is the price point where they feel the average person will still be able to buy their products. They plan on producing an apple brandy at some time. Their objective with their flavored alcohols is to tease with the flavors, so that nothing dominates over the rest of the flavors. All of their alcohols are also at 96 proof, partially so if you add ice to the drink, it won't dilute it too much. Damnation Alley Distillery, based in Belmont, Massachusetts, was founded in 2011, and they make whiskey and vodka from all local ingredients. They are a very small distillery, though that also gives them the ability to experiment frequently, to make small batches of whatever they desire. I tasted four of their products, a bourbon, rye, single malt and vodka, basically all which have been aged for less than six months in small barrels. They do have future plans to release some whiskey which has been aged longer. The Nick The Sipper Vodka is made from barley grown and malted in Hadley, Massachusetts (and the grains for all of the whiskies were also from Hadley). It had a sweeter taste, and might be good for cocktails. The Bourbon, a blend of 66% corn and the rest barley, uses an heirloom variety, Longfellow Yellow. It presents some sweet vanilla and brown sugar flavors, and is also something that might work well in a cocktail. The Single Malt Whiskey, made from 100% barley, has some baking spices notes with hints of chocolate. My favorite though was their Rye, made from 72% rye and barley. It was smooth and spicy, more savory in taste, with a lingering and pleasing finish. Sons of Liberty, located in Rhode Island, wants to produce whiskies from special beers, as well as seasonal whiskies. At the Showcase, they presented one of their seasonal whiskies, the Pumpkin Spice Whiskey. Over 2000 pumpkins are used in each batch, and they blend a single malt with winter spices. It smelled like autumn in New England, with fresh pumpkin and baking spice aromas, and it tasted basically the same. An interesting flavored whiskey. My favorite was their Battle Cry, a single malt based on a Belgian-style ale. It has about 20% rye, and was smooth and easy drinking, but with a nice complexity of flavors, and plenty of spice and a mild sweetness. A nice sipping whsikey that would make some tasty cocktails too. New England Distilling is owned by Ned Wright, who also is the distiller, and his family first got involved in distilling about 150 years ago. Ned currently makes a gin, rum and rye whiskey. My preference was for the Eight Bells Rum, a colonial style rum made from molasses and distilled in a pot still It is also aged for two years in an old Jim Beam barrel. It had a very pleasing,and slightly sweet taste, with flavors of vanilla, butterscotch, caramel, baking spices and dried figs. It can be enjoyed on its own or will do well in cocktails as well. Vermont Spirits, located in Quechee, Vermont, produces a portfolio including vodka, bourbon, whiskey, gin and more, all from ingredients purchased from Vermont farms. The Vermont White Vodka is made from whey, the sugar source in cow's milk. It has a clean and fairly neutral taste, with a hint of sweetness to it. I've written previously about Grand Ten Distilling, which is located in South Boston, but I got to try some new products at the Showcase. The Craneberry Liqueur begins with white rum which is infused with Cape Code cranberries and then aged in Cabernet Sauvignon barrels. It is a little sweet, with lots of fresh cranberry flavors and some mild notes of spice. This would make a very good mixer for a cocktail. The Fire Puncher Black Vodka is a collaboration with Taza Chocolate. Starting with a chipotle pepper infused vodka, they add some Taza nubs and shells, and it ages in an ex-bourbon barrel. With an alluring aroma, this is like a mole sauce in a bottle, a spicy chocolate mix that has a natural taste, not like the artificial flavored vodkas out there. Another excellent cocktail mixer. As I mentioned previously, on Saturday and Sunday, Thirst Boston held two Sponsored Bars on each day, running from 9am-6pm. Essentially, you could taste some spirits neat or in one of a few different cocktails. And you weren't limited to a single taste. You could easily taste all of the different cocktails they were offering. I've already mentioned three of the Sponsored Bars, and now I'm going to discuss the fourth one, the World of Whisk(e)y Bar, which presented six whiskies and one intriguing liqueur from the portfolio of William Grant & Sons. A "Triple Malt" whiskey, said to be the "naughty nephew" of Scotch, this is Monkey Shoulder. When men used to work long hours in the malt house, regularly turning the malt, they sometimes acquired a condition, known as "monkey shoulder," where one of their arms hung down longer than the other. With the use of more commercial malt, this condition is much less common, but the term was chosen for this whiskey, to pay homage to those old malt men. Monkey Shoulder has been in the U.S. for about three years. Triple Malt is not an official designation, and refers to the fact that this is a blended Scotch whiskey, made from three different, Speyside single malts, from Balvenie, Glenfiddich, and Kininvie. Each single malt is aged separately and then they are blended together, and aged for an additional three to six months. With a 43% ABV, this is a mellow and easy drinking blended whiskey, with pleasing flavors of caramel, vanilla and mild spice notes. This can be enjoyed on its own, of mixed into a variety of cocktails. Recommended. The Glenfiddich Single Malt Scotch 12 Year Old is from the distillery that is supposed to have exported he first single malt from Scotland to the U.S. in 1963. To commemorate that occasion, they recently produced a special "1963" bottling. The distillery was founded by William Grant in 1887. This Single Malt was matured in American bourbon and Spanish sherry casks for at least 12 years. It has a pleasing aroma of spice, vanilla and hints of pear/ On the palate, it is light and elegant, with tasty flavors of vanilla, pear, butterscotch and spicy accents. There is some nice complexity in its taste and it possesses a lingering finish. Another recommended whiskey. The Tullamore Dew Irish Whiskey extends back to 1829, to the town of Tullamore, and the "DEW" derives from the initials of an early owner, Daniel E Williams. They just built a new distiillery which opened in September 2014. This whiskey is made from three varieties of grain, is triple distilled, and blends three types, pot still, malt and grain. It is aged in used bourbon and sherry casks. Though it is light and elegant, it has a more intense flavor than the Glenfiddich, with flavors of citrus, spice, vanilla, and salted almonds. Also recommended. The Hudson Baby Bourbon Whiskey is a blend of 80% corn and 20% malted barley, and 50% of the corn is an heirloom variety though all of the corn is from New York. It is aged in small American oak barrels. It is mild and lightly sweet, with restrained notes of vanilla and spice. The Hudson Single Malt Whiskey is made from 100% whole-ground malted barley and pot-distillled in small batches. It is then aged for about 4 years in American oak. It is easy drinking and relatively smooth, with typical whiskey flavors. My favorite of the three was the Hudson Manhattan Rye Whiskey, which is made from 95% rye. It is spicy and intriguing, with a subtle melange of other flavors, with hints of fruit and caramel. It is intense and complex, a tasty rye which I strongly recommend. The Ancho Reyes Ancho Chile Liquer, from Mexico, relies on the signature crop of Puebla, the chile poblano. When this chile is dried, it is known as the ancho chile. This liqueur is lightly sweet with a spicy hot kick which will tingle your mouth but won't burn it. There are some other mild flavor notes beneath the spice, including some fruit and herbs. There are no artificial tastes in this liqueur. It is a very interesting liqueur which would be excellent in the right cocktail to add some heat. Recommended. While in a room near the Boston Shaker, there was a tasting of Barker &; Mills Bourbon Vanilla Cocktail Cherries. I spent a little time speaking with one of the owners, Barker,who told me that their company had been around for four years. He is a cocktail enthusiast and couldn't find cocktail cherries that appealed to him, so he decided to experiment and create his own. His family is from Iowa, and has a farming background, which helped lead him to trying to create his own cocktail cherries. He uses sweet cherries,most from Washington and Michigan, and he buys them from local purveyors. As he only uses cherries in season, then there is only a short time each year that he can make these cherries. Barker pits all the cherries by hand, and in fact, essentially does everything by hand, and uses Evan & Williams Black Label Bourbon;. He makes about 35 cases each year, and a 9 oz. jar sells for $16. Due to the huge demand for this cherries,he is selling them this year through a lottery system. The cherries are tasty, not overly sweet, with pleasant flavors of vanilla and hints of bourbon. The bourbon flavor is mild, and wouldn't affect the taste of a cocktail too much. In the future, he may expand, though it might mean he won't be able to do everything by hand. He also is interested in creating his own cocktail onions.